Welcome to the first issue of the Record for the 2018-2019 year. At 106 years old, the Record is one of the oldest voices on the Goshen College campus. The student-run paper exists to bring you news from the GC community — a task we take seriously and have done well, earning us the title of Newspaper of the Year from the Indiana Collegiate Press Association for 2017. We — Kristin Troyer, executive editor, and Abigail King, managing editor of digital media, and the rest of the staff — are excited to bring our award-winning content to you for the upcoming semester. We hope to continue the legacy of the Record, but we recognize that the paper needs to evolve to meet the standards of a digital world. The GC community is used to having the Record in print, on Thursdays and available throughout campus. This will not change and the physical copies you love to flip through will still be ready come Thursday morning. Formerly, the Record’s online presence wasn’t engaging. Articles were posted and didn’t receive much interaction. The Record’s social media accounts were seldom used. Now, that’s going to change. The Record will continuously publish articles throughout the week online. Breaking news will hit our site as soon as possible. Change is scary, but this change is for you, the GC community. We’re also navigating this change and trying to find what works best to provide you with the content you need to be a part of the community. We’re not the only ones shifting to meet the demands of a digital world. Our friends at 91.1FM The Globe (WGCS) and the Correspondent have joined together to become Globe Media. We’ll be working together with them to bring you engaging, interactive coverage of all things Goshen College. More specifically, we hope to include video and audio aspects alongside our articles to give you a full digital experience. 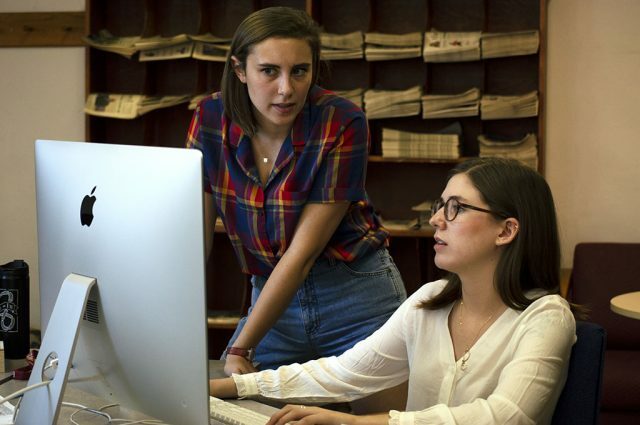 This is a process which requires collaboration between the student-run media outlets on campus. We’re looking forward to working with our peers to make content for our peers and all of the other GC community members who take time to engage with the Record. You can find our digital content at record.goshen.edu and also on Facebook (The Record) and Twitter (@GCRecord). Like, comment, retweet and share our content with your friends and family. We want to hear from you — after all, this paper is for you, the GC community.